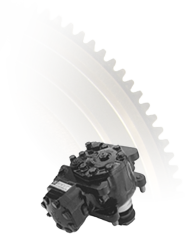 Graffeuille specialises in the exchange and repair of engines, gearboxes, axles, differentials and other sub-assemblies (injection pumps, cylinder heads and blocks, connecting rods, EGR valves, turbochargers, engine flywheels, electronic chips, etc.) for Trucks, Heavy Goods Vehicles, Lorries, PSV Buses, Coaches, and also for marine, agricultural and industrial use. Our team of specialists fixes bus cylinder heads, repairs bus crankshaft, rebuilds bus pump injector, refurbishes truck axles, remanufactures truck cylinder blocks and truck diesel engines. We have a large regular stock of new and used truck spare parts for all makes and models such as Mercedes, Man, Renault, Iveco, Scania, Daf, Deutz, Volvo, ZF, Eaton, Meritor, etc.